Ben Lawers is Scotland’s tenth highest Munro (the Scottish term for a mountain over 3,000 ft) and the central Highlands’ highest, stretching 1,214m (3,984ft) above Loch Tay. Walkers that make it to the summit are rewarded with magnificent views of Ben Lomond and Glencoe to the west, and the Cairngorms to the north. 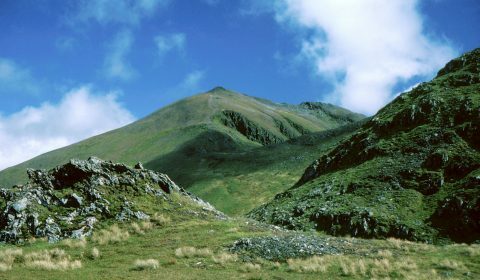 Ben Lawers is part of the Ben Lawers National Nature Reserve, which encompasses nine mountains within the southern slopes of the Ben Lawers and Tarmachan ranges, seven of which are also Munros. 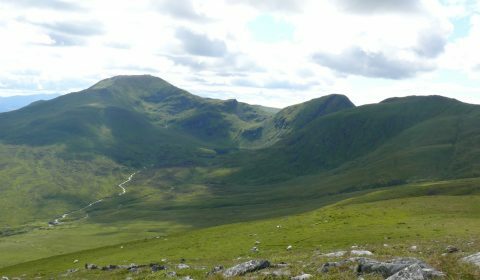 Ben Lawers is a hugely significant place for botanists as it is renowned for its arctic-alpine flora, many of which are rare and endangered species. It is a mountain range for all seasons. Spring comes with the flowering of the purple saxifrage, frog spawn appears in slow-moving burns and pools, and skylarks burst into song. In the summer, there are colorful displays of wildflowers on the lower slopes and arctic-alpines higher on the hill, including moss campion, yellow saxifrage, globeflower and rose root. 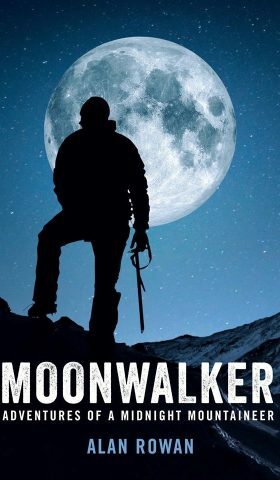 This week we are lucky enough to get an interview with author and Munroist Alan Rowan about all things Scotland and his debut book, “Moonwalker”. Alan is a mountain fanatic and has climbed the Munros twice, the Corbetts and all the 3000-foot peaks in England, Ireland and Wales, many of them during the “wee, small” hours. He is currently closing in on a third round of Munros as well as ticking off the Grahams. Alan Rowan has been a journalist for nearly 40 years, working in Dundee, Aberdeen and on a variety of national newspapers in Glasgow. He held executive positions for 12 years on the Daily Record, including five years as sports editor. He is now semi-retired and lectures in sports writing at the University of the West of Scotland and working on his second novel. NTSUSA: What inspired you to start walking the Munros and motivated you to complete them more than once as you have now nearly completed your third round? AR: I started walking Munros because I had a job on a newspaper with strange working patterns. I needed a hobby or sport I could do solo, as most friends were working normal hours and not around when I was available. I had already done some hillwalking as a teenager so it seemed the natural path to follow. I went out to Loch Lomond one lovely hot, sunny day to enjoy my lunch in the countryside and ended up walking up The Cobbler. I sat there for two hours taking in the sunshine and realised this was a great way to keep fit and the antidote to nights stuck in an office. The more I went out, the more I wanted to go out. Now the mountains are like old friends and I have to pay them a visit every so often to say hello. They also bring back memories, so it’s a constant revelation. NTSUSA: If you had to pick a favorite Munro or favorite path which would it be and why? AR: There are so many. The walk in to Suilven is beautiful for example, and Beinn Eighe is a favourite with the superb path round to the corrie. If I really had to pick one it would be An Teallach in the north-west Highlands, magnificent mountain, magnificent approaches. But, Buachaille Etive Mor in Glencoe runs it close. It’s the mountain that inspired me to start, and I visit it every year. A friend died there, and the mountain holds so many mixed emotions. NTSUSA: Walking into the wee hours of the morning is not the most common time to go mountaineering, what does walking at this time bring compared to daylight hours? AR: It’s simply the beauty of seeing the day come alive. There’s not a feeling in the world to beat rising up a mountain slope with the sun rising with you – and you usually have the mountain to yourself. Everything is different at that time of day – the sounds, the smells, the sights. For instance, there is always the sound of running water. I’m sure the senses are heightened by the lack of light – you notice the little things more. NTSUSA: What stands out as your most memorable moment during your time mountaineering? AR: Any time I have been sitting on a summit watching the sun burst through the horizon. I recently managed to catch a sunset on one mountain and six hours later a sunrise on another. NTSUSA: How important do you think the work of the National Trust for Scotland is in ensuring that the Munros in our care stay sustainable and well maintained for the public? AR: It’s vital. We need champions for our wild land to ensure it is managed properly. The proliferation of wind farms, bulldozed tracks and hyrdo schemes are a big challenge. We need to make sure our mountains are saved for future generations and the NTS can play a crucial role. NTSUSA: This year one of our projects at the NTUSA is at Ben Lawers, have you any fond memories of this Munro? AR: I made a lovely night ascent of Ben Lawers many years ago, and have visited all the mountains on this chain (seven Munros) many times. It was also one of the first Munros I climbed after retiring from work and the sun shone the whole day. NTSUSA: “Moonwalker: Adventures of a Midnight Mountaineer” is your first book, did you enjoy writing it and what was the motivation to put your experiences to paper? AR: I had kept extensive diaries of my mountain life and I wanted to write something that the friends who had often accompanied me could enjoy. It was fun to write, it brought back great memories. The whole idea caught the idea of a publisher, and since publication I have travelled to mountain festivals, book festivals and other shows and I have met many like-minded people. 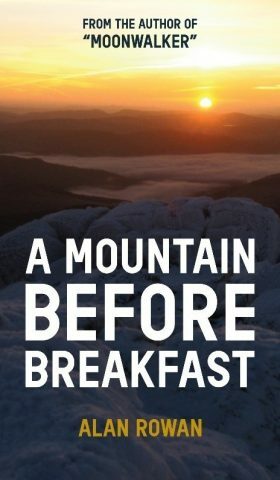 NTSUSA: What can we look forward to in your next book “A Mountain Before Breakfast” that comes out in November? AR: I always saw Moonwalker as a two-parter, and this is the concluding part of the story. It’s basically more tales of madness and mayhem on the Scottish hills. I have been encouraged by the reaction to the news that it will be coming out soon. Check out Munro Moonwalker for more information. Ben Lawers is among the Trust’s most important natural heritage properties. The extensive mountain landscape extends over nine miles along Loch Tay in the central Highlands and is named for its highest peak, the dominant feature of the local landscape. Ben Lawers is one of the most botanically rich areas in Britain and has been renowned since the 18th century for its outstanding range and diversity of artic-alpine plants and habitats, many of them rare or scarce; the property’s cultural heritage is also highly significant, with archaeological remains dating from the Mesolithic era. The Trust’s pioneering approach to managing Ben Lawers is regarded as a standard for best practice in the field of environmental conservation. The Trust needs to deliver a three-year program of vital habitat restoration to ensure the long-term maintenance of Ben Lawers. The ability to meet conservation objectives is constrained by heritable rights for neighboring farmers to graze sheep on the range, which restricts significant plant species to inaccessible cliffs. Populations so reduced and isolated will eventually die out. Fencing has allowed natural regeneration of some species, while others require labor-intensive active intervention to survive. The Trust’s work in tackling the restoration of sub-montane woodland and montane scrub is unique, and long-term success requires a sustained commitment. The most efficient way to ensure the success of this vital work is by employing a staff member dedicated to fence management; bracken control; seed collection, propagation, and nursery work; deer management; and volunteer supervision. Ben Lawers from Coire Odhar. Now, maybe walking at midnight isn’t your thing but if you do enjoy our beautiful Munros in Scotland then please contribute to the vital habitat restoration to make sure no matter what time you walk them they can still be enjoyed in their full glory!